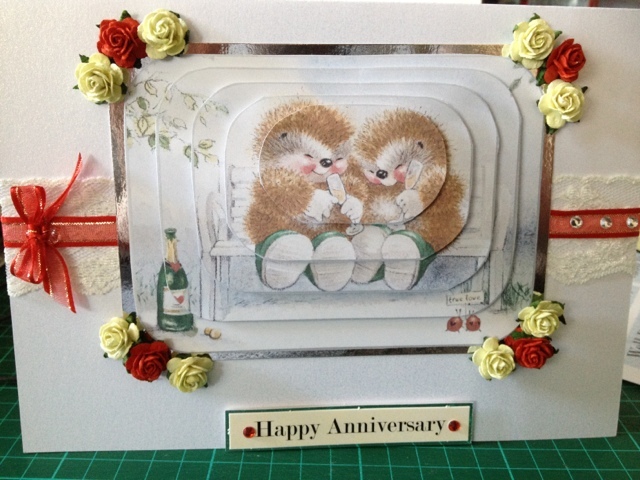 A friend has asked me to make her a wedding anniversary card for her friend. I have used the country companions decoupage from the Docrafts digital designer cd rom. Used some lace, ribbons, gems and flowers.